Back in 1995 when I was just a freshmen at Illinois State University, a guy lived down the hall from me named Kevin Suess. We became friends, and I’m glad to say it’s a friendship that has lasted almost twenty years. Even back in 1995, Kevin struck me as an honest person, a guy who put others before himself, and a man unafraid to take risks. With the advent of MySpace, Facebook, and later Twitter, Kevin and I got back in touch about eight or nine years ago. Around that time, I took two years off to stay at home with my first daughter. I don’t know if Kevin realizes it or not, but we would have coffee often during that time and he inspired me on a regular basis to be a better teacher, to truly grow passion for my career, and to wake up every morning excited to go to work. When I returned to teaching in 2010, I was a new man, and I’ve loved my job ever since. I owe it in large part to Kevin Suess. I’m not even sure if he knows the impact he had upon me, for he’s the kind of person who leads unassumingly. But it’s not just me Kevin influences. He teaches high school Social Studies, he’s the chair of the department at his workplace, he is the president of the Illinois Geographical Society, and he’s the vice president of Bike BloNo, which is a group focused on making Bloomington-Normal more bicycle friendly. In fact, he and his group recently got the city of Bloomington to move ahead on a bicycle master plan, so be on the lookout for that. 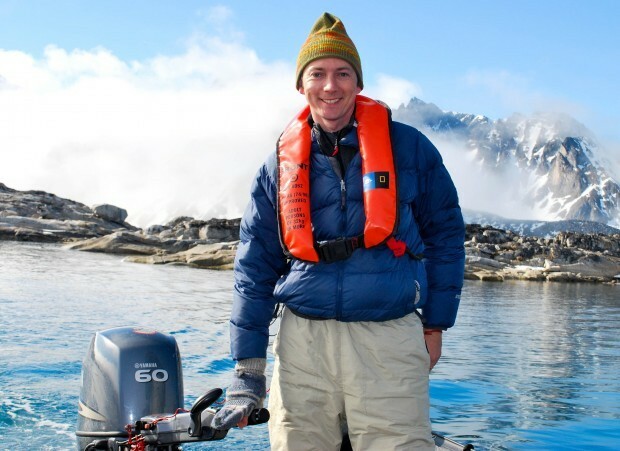 Kevin was also invited by National Geographic to attend a research voyage in 2010 to the arctic circle near Norway. I’m sure there’s even more that I don’t know about, but as you can see, Kevin is a fascinating individual. Furthermore, he’s a loving husband and caring father. If I’m not mistaken, I believe he and his wife met long ago in my apartment during my junior year of college. If I do indeed remember correctly, that is quite an honor for me. I do hope you’ll support Kevin’s endeavors however possible. This entry was posted in These Friends Of Mine and tagged bike blono, education, kevin suess.